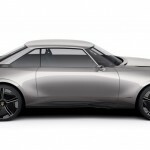 Autonomous concept cars have been the center of international auto shows in the past couple of years. 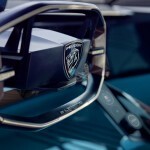 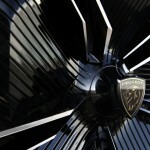 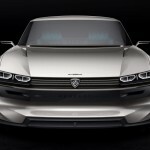 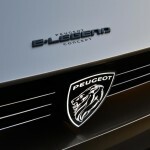 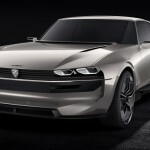 Peugeot is readying its E-Legend Concept for an introduction at the Paris Motor Show next month. 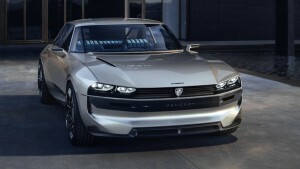 The E-Legend Concept has a forward-looking design that aims to highlight style over practicality. 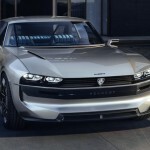 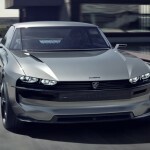 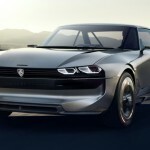 The concept is a blend of modern Peugeot car design with the 1969 Peugeot 504 Coupe. 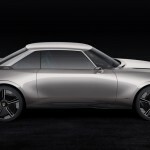 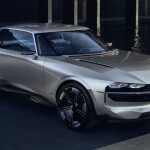 The result is a retro-futuristic autonomous car that is reminiscent of the never-built Nissan IDx concept. 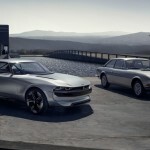 These two concepts—the E-Legend and the IDx concept—were inspired by coupes designed in the late 1960s. 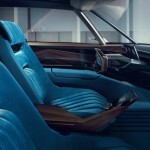 The resemblances between these two concepts are therefore attributed to the trends of that decade. 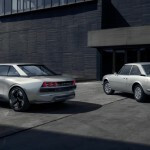 But the closest connection between the E-Legend and the 504 is the roofline. 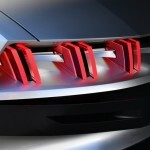 It has the same trapezoidal shape with sharp corners, the same thin pillars, and the same large glass area. 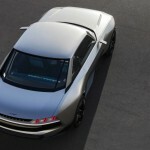 The long nose and the shorter rear deck are similar, too. 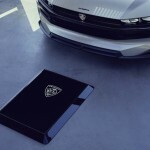 The concept measures 183 inches long, 76 inches wide, and 53.9 inches tall. 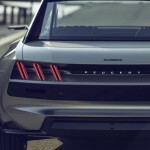 It’s close to the size of a BMW M4, though with a shorter 105.9-inch wheelbase. 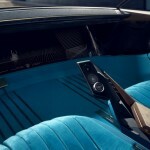 Inside, the retro design was carried over. 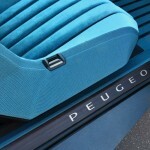 It’s upholstered in 60s chic blue silk velvet while the door panels, seat buckets, and steering wheel are made of paldao wood sourced from renewable forests and finished by French furniture design firm Hervet Manufacturier. 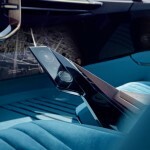 For a more relaxing drive, there’s also a fragrance diffuser that can fill the cabin with one of two scents crafted specifically for the E-Legend by perfume maker Ex-Nihilo. 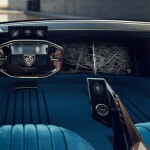 But since this is an autonomous vehicle, the steering wheel will be retractable. 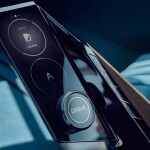 Once the steering wheel is stowed, the autonomous system can be set to either one of two modes: soft for comfortable cruising or sharp for a more dynamic driving. 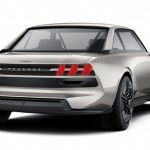 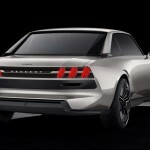 The E-Legend Concept will source its power from an electric engine that makes 456 horsepower and 590 pound-feet of torque. These numbers are close to the outputs of Jaguar I-Pace, Audi E-Tron, and the larger Teslas.